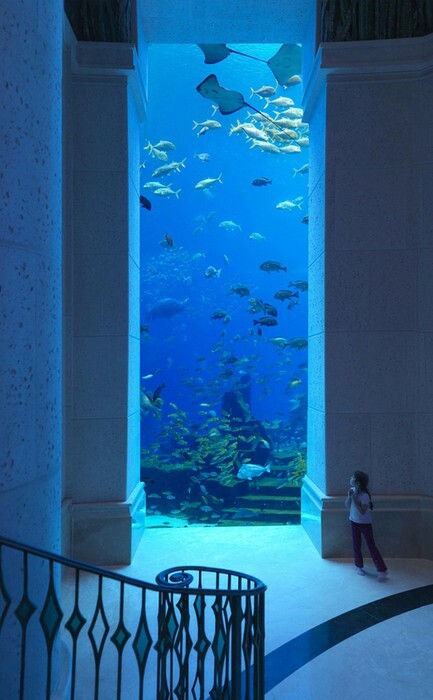 This is located at a hotel resort named Atlantis at The Palm in Dubai. The resort is modelled after the Atlantis, Paradise Island resort in Nassau, Bahamas. Almost everything in it is underwater themed.